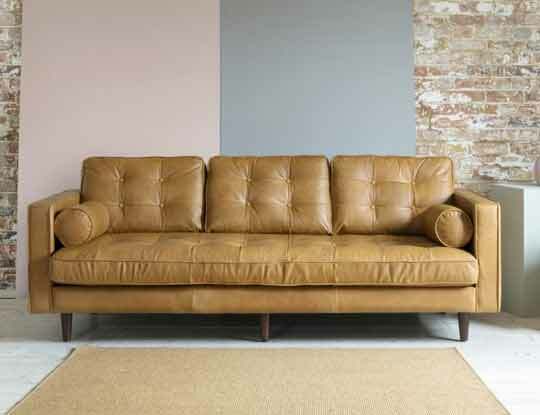 Our luxury handmade leather sofas are made to the highest quality and provide the perfect solution for a busy home. 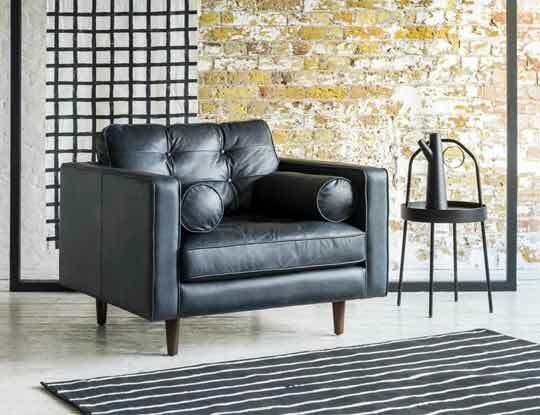 This timeless leather upholstery is durable and long lasting, and available in a range of colours. This quality piece of furniture will be an investment for you to cherish in your home for years to come. Our interior design consultants are on hand in store, to help you find the right leather for a sofa or chair of your choice. Alternatively, browse our leather sofa range online or request a free leather fabric sample, which we’ll send you in the post. Sofas & Stuff’s bespoke handmade furniture can be upholstered in a range of different coloured leathers. British made leather is a form of pure luxury and a beautiful addition to your home décor. Leather sofas bring comfort and style to your living space, and adds character to a traditionally styled room, or fits perfectly with a modern décor. There are amazing choices of furniture that can upholstered in leather, from our large corner sofas through to our leather armchairs. leather is the fabric that looks stylish and beautiful on all of our bespoke handmade furniture. If you wanted a feature in your living room but not as big as a sofa or corner sofa, how about our leather snugglers or armchairs? Our snugglers are perfect for two people to cuddle up together on, whereas a leather armchair makes a perfect reading chair… or snoozing chair. For more information about all our different fabric options, please contact your nearest showroom. Why not order some free leather sample pack, so you can see the high quality fabrics we offer.